We have 22 elegantly decorated rooms on the property, which can sleep a total of 53 people. 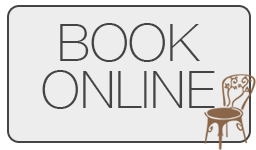 Whether you require a single room, spoiling a loved one or having a family break, we are able to cater to your needs. Noun. game drive (plural game drives) (South Africa) A safari. A trip into the wild to see animals in their own environment. 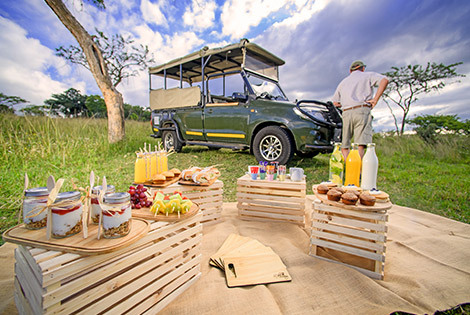 This is exactly what you will experience on one of our game drives in the Kruger National Park, while enjoying a homely breakfast in the bush. 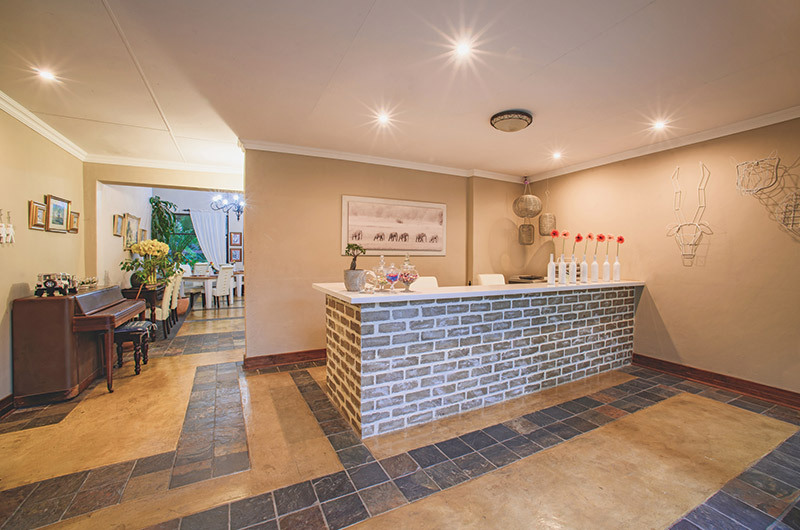 Be welcomed by our friendly staff in our newly renovated reception area with a refreshing welcome drink. 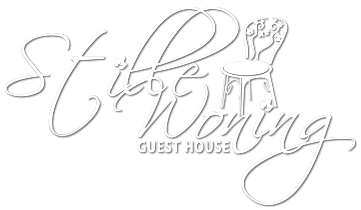 Here you will get the first feel of the guesthouse, receive information about the surrounding area and things to do and see in the Lowveld. 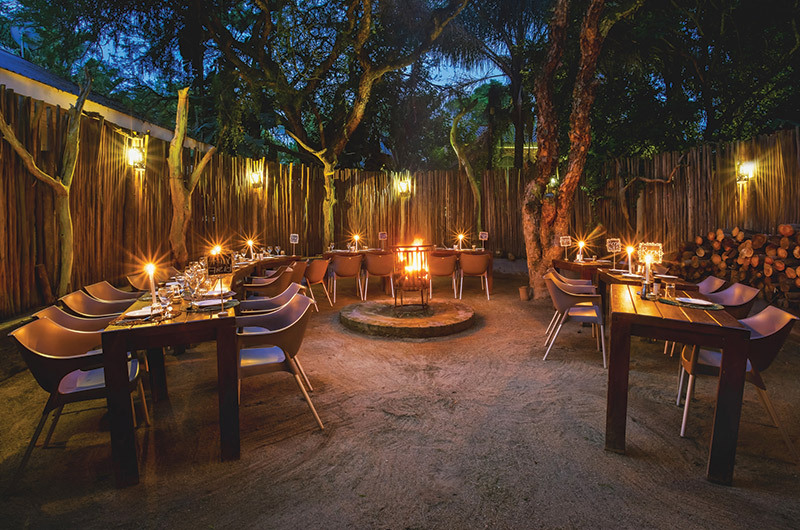 A boma dinner is an important part of the African bush culture, and we take pride in serving this special outdoor dining experience, in the middle of town. When entering the boma, you will feel as if you are in the bush. Have dinner while seated around a bon fire while stars are twinkling away above you. Enjoy a full English breakfast in our dining room, served here daily. 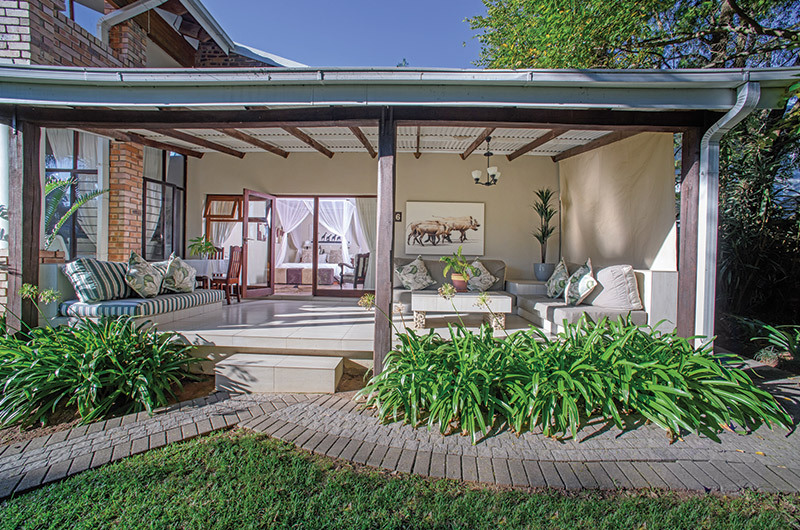 Our dining area walks out onto the stoep and swimming pool. 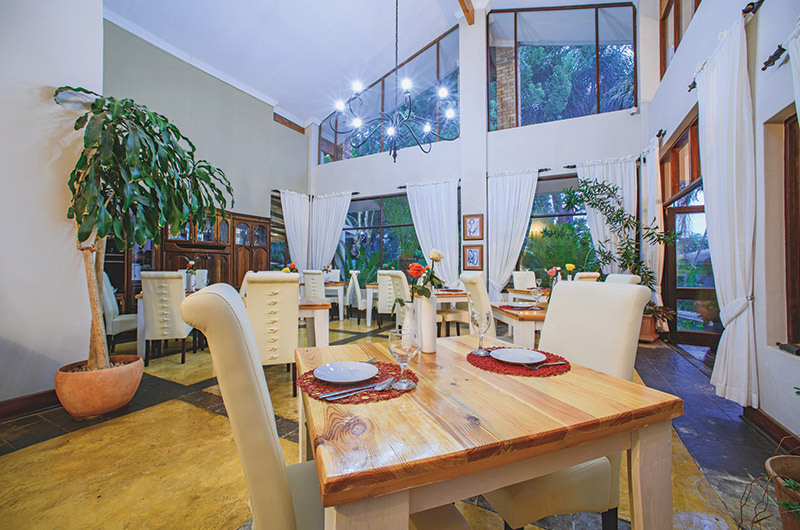 When weather does not permit a boma dinner, we serve dinner in the dining area, with a lovely warm fire on the stoep. 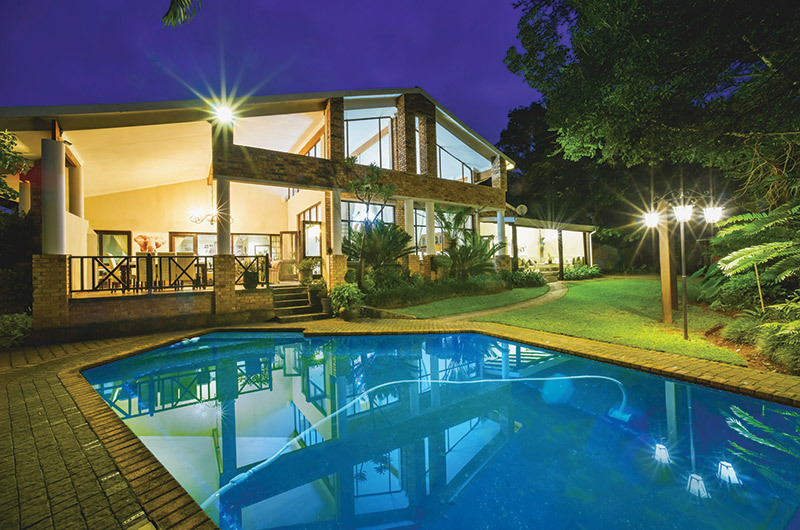 In the extreme heat that the Lowveld is known for, there is nothing as refreshing as a dive in the swimming pool. Be served a drink of your choice by our friendly staff while soaking up the sun or getting your daily dose of exercise in.